Alila Diwa Goa, a 5-star deluxe resort in Goa brings a refreshingly unique resort experience to Gonsua Beach in Majorda, just 20 minutes from Goa Dabolim International Airport. 44 m2 / 474 sq.ft. 88 m2 / 948 sq.ft. 66 m2 / 710 sq.ft. 128 m2 / 1,377 sq.ft. Plan your trip in advance to enjoy up to 20% savings on your stay. Rate includes breakfast and more. Book now and enjoy a 30% off on our flexible rate. Limited time offer! The Flexible Rate allows free cancellation and amendments. Rate includes daily breakfast and more. Rate includes breakfast, lunch, dinner, airport transfer, credit on leisure experiences and more. A minimum stay of two nights is required. Be the master of your own health with the Self-Styled Wellness program that includes accommodation, body analysis, holistic spa therapies, health tonics, yoga, and meditation sessions and lots more. Unlimited food and Beverages, unlimited Spa, Wifi and much more. From gorgeous beaches and lush paddy fields to ancients forts and traditions rooted in its colonial past, Goa offers a wondrous mix of nature, culture and lifestyle to experience and explore. 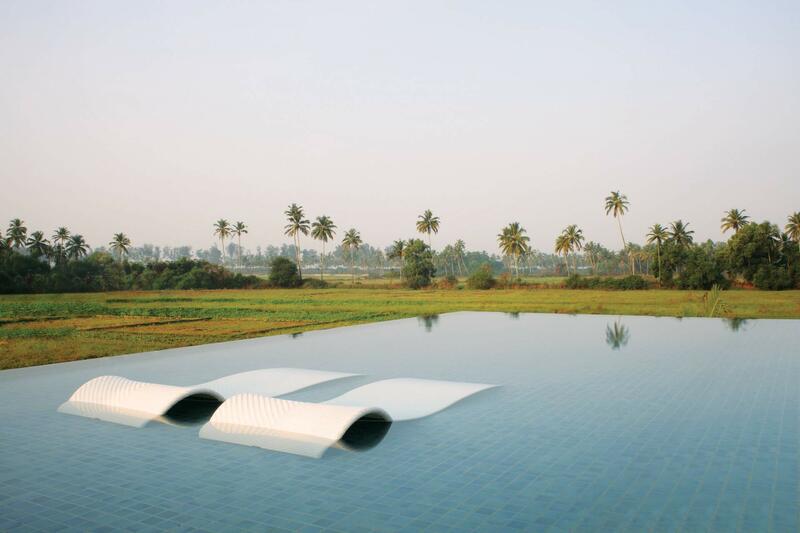 Set amid lush paddy fields, Alila Diwa Goa blends the best of contemporary Goan architecture – high pitched roofs, wide verandahs and tranquil courtyards – with rich cultural traditions to fashion an extraordinary experience in luxury destination travel. Express your love in more ways than one. Plan a romantic escape in the serene environs of Alila Diwa Goa with your loved one and enjoy a Surprisingly Different experience like never before. At Spa Alila, we have created simple yet effective programs designed to help you rediscover your optimum level of wellness. Feel one with nature as you enjoy cooking and relishing your meal in the rustic environs of our garden. Enhance your repertoire, learn to cook speciality dishes from your favourite cuisine and surprise your loved ones back home. Young explorers will love this exclusive behind-the-scenes guided tour of our hotel and it’s inner workings. We invite you to a dining experience you have never imagined before, where your eyes will take a break and your taste buds will lead the way. Your wedding day is special for so many reasons and you want to savour it for the rest of your life. Offering world-class business facilities within a stunningly beautiful environment in South Goa, Alila Diwa Goa is the ideal location for your off-site meetings or conferences. Inspired by craft and inventiveness, Courtyard Bar is a speakeasy bar with a retro theme that specializes in the art and alchemy of taste. Overlooking the pool and surrounding paddy fields, VIVO offers a relaxed ambience for all-day dining. Savour a celebration of India's rich culinary traditions in a menu of distinctive regional fare. This exclusive dining venue overlooking the pool in The Diwa Club offers a contemporary menu with exotic offerings and fine gastronomic delights. Pool bar by day, hip lounge by night, the Edge Bar overlooking the cool blue waters of the infinity pool is a stylish venue to relax and unwind. Lose yourself in a world of sheer indulgence at Spa Alila with treatments that are natural and nurturing. Emerge completely relaxed and re-energised. 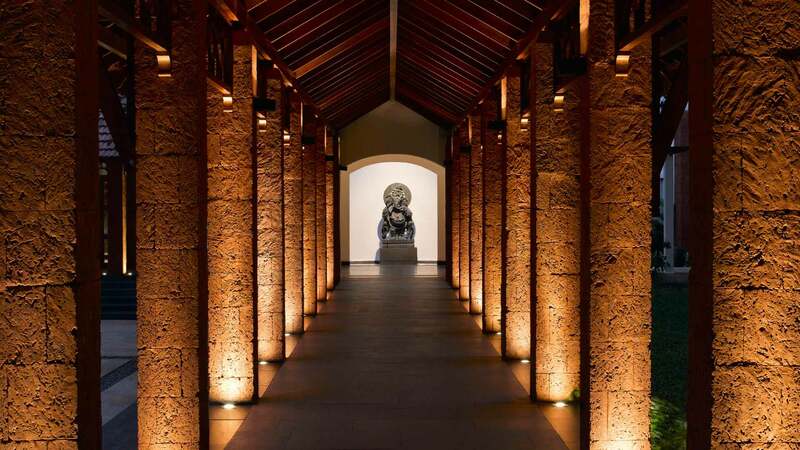 Alila Diwa Goa takes great pains to minimise its environmental impact by using primarily local materials and working with the landscape to preserve indigenous ecosystems.